“Business Ethics” defines what is right and wrong in a business – not necessarily what is or is not illegal. It is the responsibility of everyone in any organization to maintain high levels of business ethics, as businesses who fail to do so lose the public trust, and the ability to continue to do business, very quickly. Truthful. The company and its agents do not issue false statements, and do not unreasonably withhold information from the outside world. Fair. The company does not engage in underhanded business tactics to unfairly damage its competition. Benign. The actions of the company do not harm its employees, investors, or the surrounding community. What is and is not “Ethical” is often very subjective. Over time, several different ways of defining ethical behavior have arisen. 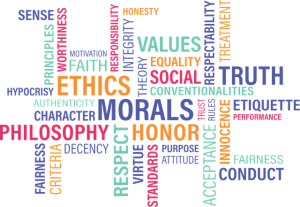 At the end of the day, true “Ethical” behavior is a combination of all of these – what is considered unethical is mostly defined as what does everyone else thing is unethical. Customer and Employee Relations. Details how customers, employees, and co-workers should be treated and what behaviors are expected when dealing them. Proprietary Information and Disclosure. Defines methods of confidentiality and exercising discretion when dealing with sensitive information. Core Values. Reinforces the company’s mission, vision, principles, and values and how it relates to the ethical environment in how they do business. Policies, Procedures, and the Law. Highlights what to do and what steps to take in a situation listed within the ethics manual. Federal laws, regulations, and rules that affect how work is done and what should be done are also mentioned. Competition and Conflicts of Interest. Describes what a company is allowed in the face of competition, how to remain competitive in the marketplace, and the types of relationships allowed that do not jeopardize the company’s best interests. Documentation, Accountability, and Compliance. Reveals the type of work and events that should be recorded and reported, what everyone is ethically responsible for, and how to ethically comply with everything mentioned above. This section also points out where to go and what to do for any questions or ethical problems not defined in the manual. All businesses are based on a foundation of trust. Customers expect to get their money’s worth from a product they buy (that it will do what is advertised, is free from defect, and is safe to use). Investors expect to know how their money is being used to run the business (though accurate financial statements, truthful statements from the management, and adherence to core principles). Nothing destroys a business faster than losing the public trust, which is why maintaining strong business ethics is essential in the business world today. Usually if someone at a company is engaging in unethical behavior, their main concern is not being caught. However, the fallout of unethical activities is usually very far-reaching in any organization. The business, or individuals at a business, profit unfairly at the direct loss of others. Unethical behavior is inherently risky and not sustainable – if a business shows a profit when it should have taken a loss, it is likely that the underlying problems causing a loss will continue. This means that over time, the scale of unethical behavior needs to either increase, or the company will flounder on its own. If the company begins to flounder, the source of the unethical behavior that temporarily generated a profit will often be exposed through a review of business practices as the company attempts to regain profitability. This usually results in the perpetrators getting caught and dismissed (or legally prosecuted, if applicable), but can hasten the decline of an already ailing company. If the scale of the unethical behavior continues to encourage continued growth, whoever was the victim of the unethical behavior (either a competitor or the public at large) will often seek legal action to expose the unethical behavior, and sue for damages. This greatly damages the reputation for the business. If a company discovers the unethical behavior through its own internal auditing or whistle-blowing programs, the damage is greatly reduced. 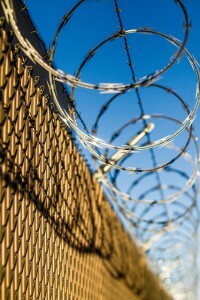 Corrective action can be taken to punish the offenders, and while initial exposure can damage the company’s image, they can also work early on rehabilitation efforts. Internally discovering and stopping unethical behavior is in the best interest of every company. The government actively monitors companies throughout the country, through quality control tests on products, audits of tax forms and financial statements, and other avenues. If unethical behavior is discovered by the government, a company will usually face extremely stiff penalties, and the management may be criminally liable. The company will also likely be forced to engage in lengthy and expensive legal battles, and may have its reputation irreparably damaged. Step 1. Define the ethical issue you are facing in clear terms. You cannot address an issue without first establishing exactly what the issue is. Step 2. Figure out who is involved in the ethical issue and how these people would be affected. Who is benefiting from the unethical behavior? Who is hurt? Step 3. Find any specific laws or regulations that apply to this situation. If something about this situation is illegal, it makes your decision much easier. Step 4. Define the options you have available, and how each alternative works legally, and how it impacts the people involved. Step 6. Identify what caused this issue to arise in the first place, and take steps to prevent it from happening again. It is not always easy to do the right thing. The main concern when making ethical decisions is to always act like everyone is watching – if you feel like your actions would disgust others if they knew about it, then you may be crossing ethical boundaries. 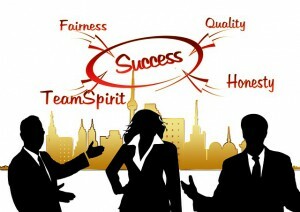 You probably will not see a business’s Code of Ethics until after you start. For most employees, they usually do not even take a good look until a major ethical issue has already come up, but your life will be made much easier by evaluating the Code of Ethics early, and bringing up any concerns with your managers before issues arise. Understand the business you are working for. Ethical considerations can be very different for companies in different fields. As you evaluate your Code of Ethics, consider the types of ethical issues you think might come up, and see how well the Code address them. Critically think about how it applies. 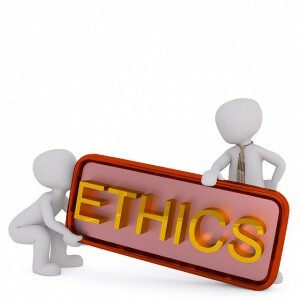 Analyze and form meaningful associations in what the business code of ethics involves. Figure out how you fit into all of it. Know your limitations. Know what can and cannot be done on-the-job for different types of work for that role or position taken at that company. If it is not illegal, it could be unethical. Just because it is not written in the code of ethics does not mean it is something acceptable and appropriate to carry out. If it violates what is considered ethics by any normal person, it is unethical. Seek help. If unsure about what is ethical or unethical follow the guidelines on who to go to, what to do, and where to go for help. Most companies have a specific Ethics officer, otherwise you can reach out to the Human Resources department and request a confidential meeting. Follow the law. Know your rights and responsibilities that apply. When working, if there is a difference in what you are told to do and what you should do, you should always follow what the law requires you to do because it is never an excuse to do something unethical because your boss told you could. Ignorance is not the same thing as innocence. If you witness something unethical and do nothing about it, in the eyes of the law you will be held responsible. Most government regulations on unethical behavior follows in the wake of huge scandals stemming from unethical behavior that impact millions of people – basically the “Worst Case” scenarios of acting unethically. There are several monumental pieces of legislation aimed specifically at curbing and punishing unethical behavior in the workplace. This act was created in the wake of the Enron Collapse. 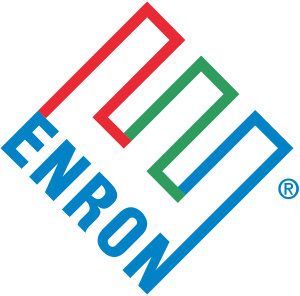 Enron was a company that primarily dealt with energy. Throughout the late 2000’s, the corporate culture of Enron was obsessed with driving Growth At Any Cost – the company’s daily stock price was posted in the elevators, and associate bonuses were based almost entirely on short-term gains. At lower levels of management, managers were found to have been artificially manipulating energy levels in several states, causing artificial shortages to drive up energy prices. At higher levels, senior managers were found to be manipulating the “book value” of many assets to make failing assets seem profitable. Eventually the entire company collapsed when journalists began investigating their seemingly impossible winning streak, bringing down both one of the biggest energy companies in the world, and one of the most (formally) trusted accounting firms. The Dodd-Frank Act arose from the financial collapse preceding the Great Recession. This recession had many diverse causes, and so the Dodd-Frank Act has many specific provisions, but the two biggest issues that the Act attempted to address involved weaknesses in the mortgage loan and derivatives market industries. Ahead of the Great Recession, many banks were issuing record numbers of sub-prime loans, or loans issued to lenders with poor credit history or low earnings. Sub-prime loans in and of themselves are not bad – they can be an important way to help uplift people from poverty. What was new was the introduction of wide-spread derivatives trading involving investment banks using something called derivatives and interest-rate swaps, which created a potential for abuse. The way these markets work is a local bank will issue many mortgages over the course of a month. Some will be “Prime” loans, some “Sub-Prime”, which have a higher chance of default. Banks do not simply hold a mortgage and collect the payments on it though – your local bank will take all of the mortgages it issues, bundle them up into a single “Security”, then sell that bundle of securities to investment banks. Mortgages are often sold at an “Adjustable Rate”, meaning the interest rate on the mortgage will go up or down depending on the prevailing market rates, so the value of that “Security” the investors purchased will go up and down over time as well. Investors generally do not like a lot of uncertainty, though, so the investors who buy these “mortgage-backed securities” will often then purchase a derivative known as an “Interest Rate Swap”. With an Interest Rate Swap, the holder of those mortgage-backed securities will trade their variable interest rate for a fixed interest rate – the other investor purchasing that variable interest rate is betting that the variable interest will average out to higher than the fixed rate they offered in exchange, while the person buying the fixed rate is mostly interested in making sure they get a steady stream of income. This all works fairly well if everyone knows all the risks involved – the purchaser of the mortgage-backed securities knows the risk rate of their investment, and the seller of the interest rate swap knows the expected amount of variable interest they will see. 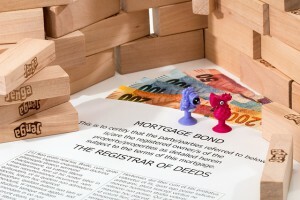 Prime mortgages are generally considered very safe investments, since they reliably provide a steady stream of income at an inflation rate above, while Sub-Prime mortgages are considered riskier loans, since they have a higher chance of “defaulting”, or the person taking out the loan being unable to repay. With the financial crisis, banks who were bundling the mortgages into securities were not properly disclosing how many of the mortgages were “Prime”, and how many were “Sub-prime”. This means the investors did not have a clear picture of how much risk they were actually buying, and the traders for the interest rate swaps thought they were buying a much more stable package of mortgages than they were. Once those sub-prime loans started to default, the investors at every part of the chain realized they could not trust the original banks at their word about the risk level, resulting in a massive sell-off of these securities, crashing the prices. This, in turn, meant banks were no longer able to offer mortgages as easily, because they could not re-sell them later, causing a chain reaction that the housing market still has not fully recovered from. Composed of the Securities Exchange Act (1934), which regulates the sale of public securities and makes it illegal to bribe foreign officials to get them to do something they would not do in the normal course of business. This act came into practice after the Securities and Exchanges commission conducted a series of investigations that found over 400 companies throughout the United States that were also doing business overseas had made bribes to officials in other countries. The most infamous of these were Chiquita Bananas, who had made sizable bribes to the President of Hondouras in exchange for tax breaks, and Lockheed-Martin, which had made bribes in several countries in exchange for preferable judging for airplane contracts. Before this act was passed, it was clearly illegal to make bribes in the United States, but bribery was not necessarily illegal in other countries, so there was no legal repercussion for these bribes, even though it was clearly unethical. This act made the act of bribing any foreign official or government a crime. 1 of 3) Which of the following part of a business code of ethics is specifically designed to make sure breaches of ethics are caught swiftly? 2 of 3) If unethical behavior takes place in a company, which of the following is the best-case scenario for the company? 3 of 3) Which ethical violation contributed to the creation of the Dodd-Frank Act?